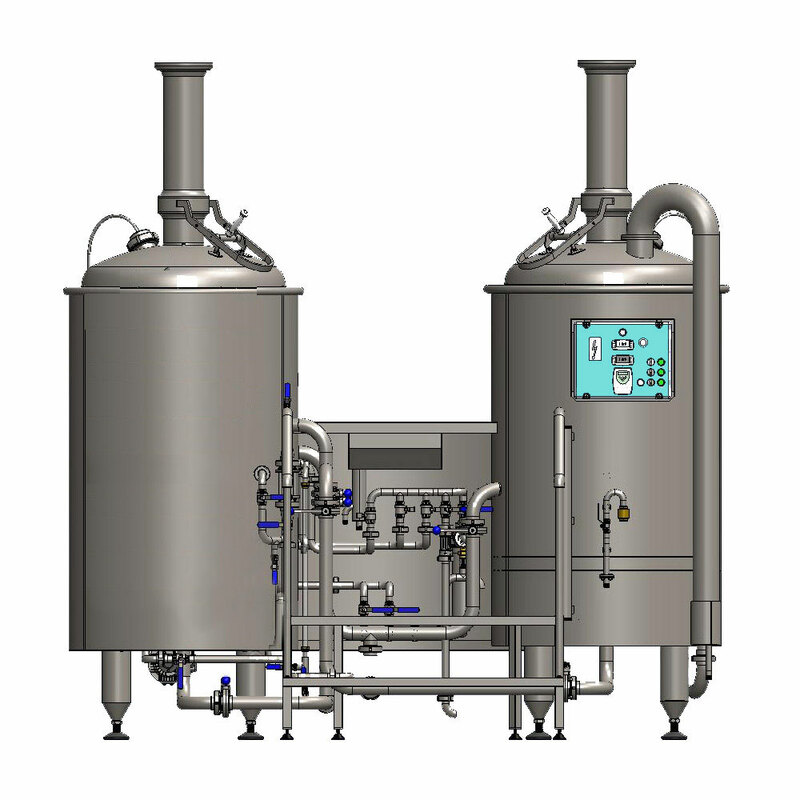 Simplified brew machines for the production of wort of malt extract and hops. The most important technical step in the beer production process is the brewing of the wort. Milled malt or malt extract is mixed with water an then is boiled with the hops to produce the final product – wort. The wort machine (we call this machine Brewhouse) is the main part of each brewery. It is a compact system whose primary function is the production of wort, using a boiling process and a wort cooling process. Hopped wort is an intermediate in beer production – it is a sugary fluid from water, malt and hop or from their extracts. The next phase of the beer production cycle is the fermentation and the maturation of the wort. At the end of the fermentation process we get the resulting product – beer. 1. Malt concentrate boiling tank – heated vessel for the mixing of the malt concentrate in water, boiling of mash from the malt-concentrate . The hot water tank and a tank for cold water are optional external accessories of the brewing machine. The singleblock brewhouse BREWORX LITE-ME 300 is a compact machine which includes all necessary equipment to produce 354 liters of beer wort (for production approximately 300 liters of beer) in one batch from malt extract or wort concentrate (beer concentrates). It is two-vessels brewhouse. 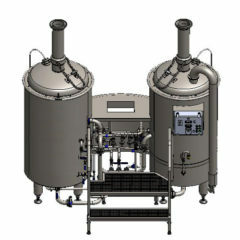 The BREWORX LITE-ME 300 brewhouse is simplified machine with similar design like the brewhouse BREWORX CLASSIC 300 . 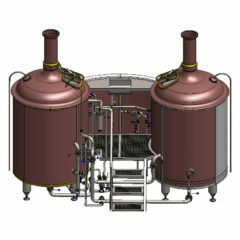 This model of the brewhouse is not equipped for production of beer wort from traditional raw materials (malt instead concentrate). This brewhouse is a main componet of the BREWORX Lite-ME 300 breweries but it can be use with other type breweries too.